Have you checked the prices on our new shopping cart? 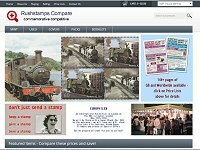 Rushstamps Compare - our new mobile optimised shopping cart - so easy to use! Latest Single Items, HVs, etc. Compare our Prices and Save!! Order now and take advantage of our low, low prices. You need to be quick to get a bargain on this list! 100's of exciting offers to tempt you! Many price changes, Compare and Save! Major New Discovery after 20 years! once you have viewed the site. SG 493/94 - Cat £40! 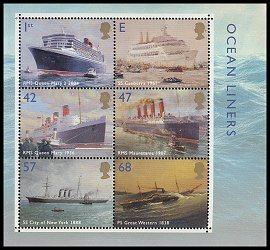 Why not visit the Lyndhurst Antiques Centre in the High Street, next to the traffic lights, where we have a selection of GB and Worldwide Collections and individually priced album pages, FDCs, Postcards, Kiloware and second-hand Stockbooks? All priced very reasonably. Open 7 days a week 10am to 4.45pm. 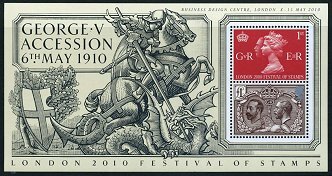 The World's first ever issued stamp. 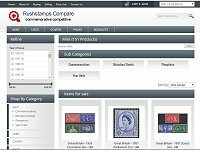 Minimum Catalogue Value by SG is £275! GRAND STOCK CLEARANCE - LIQUIDATION - EVERYTHING MUST GO! including Cambodia, Laos, Mongolia and Nicaragua from just 30% of SG's catalogue price. 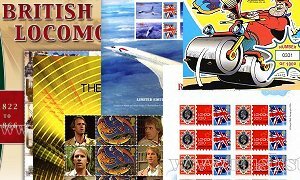 Some wonderful Thematic stamps from cars and cats to fish and flight are included in the listings.